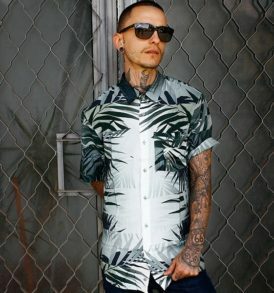 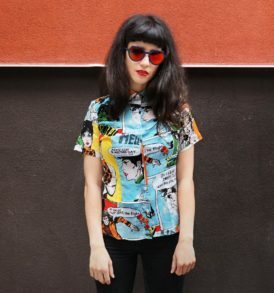 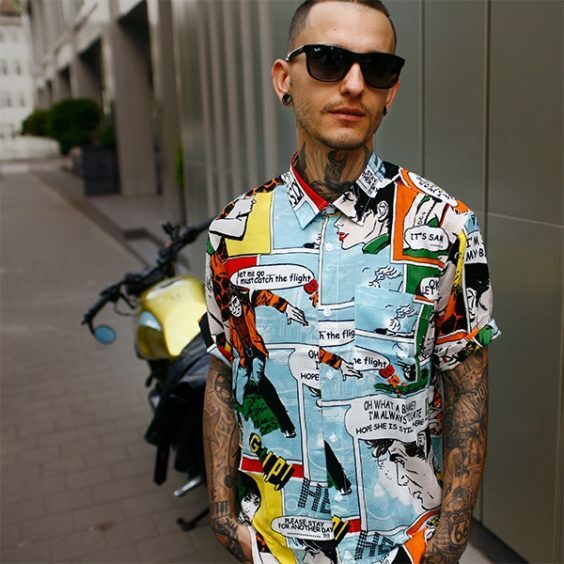 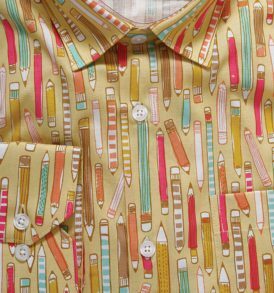 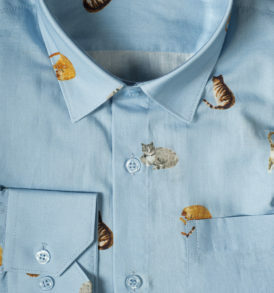 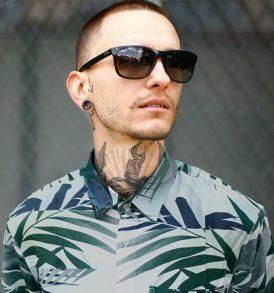 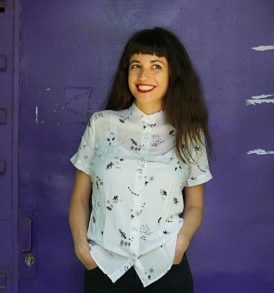 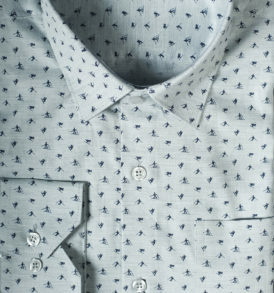 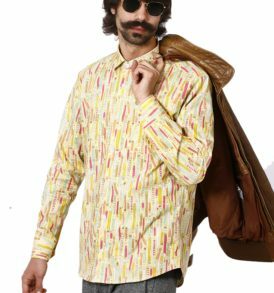 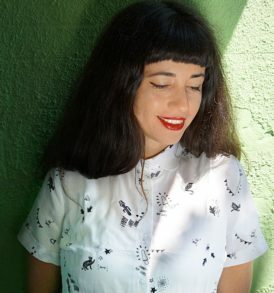 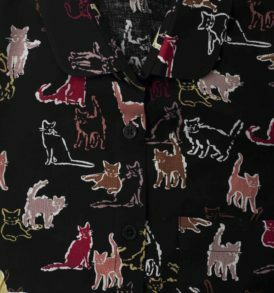 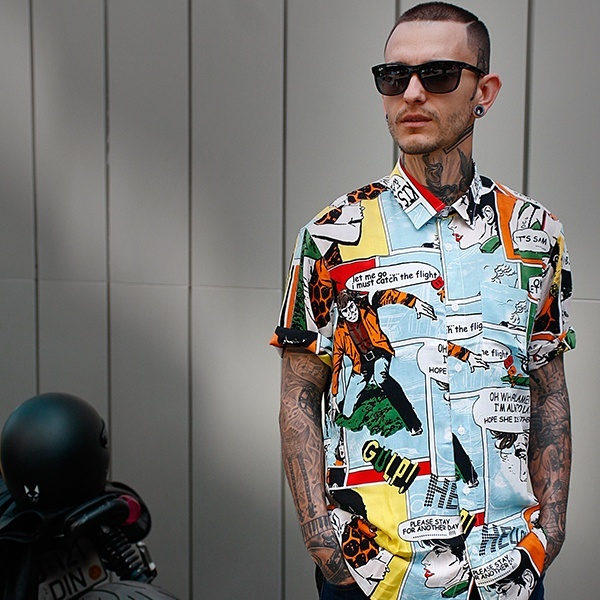 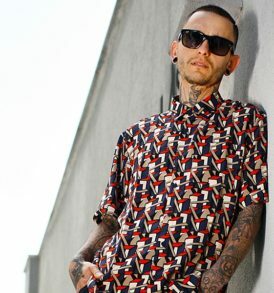 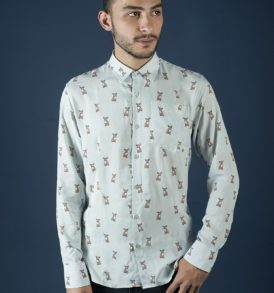 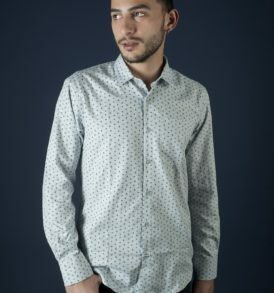 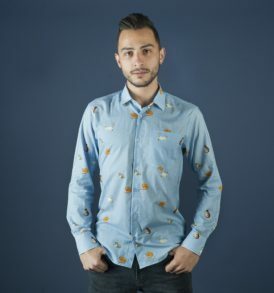 Men shirt with comics pattern combining short sleeves, sport collar and a pocket. 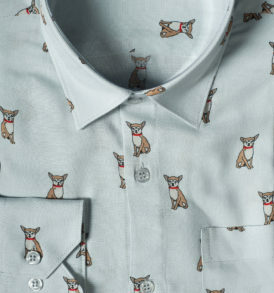 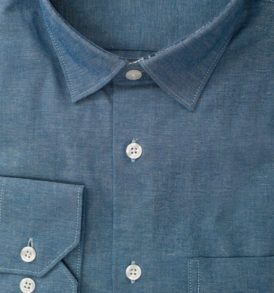 Made out of 100% cotton fabric. 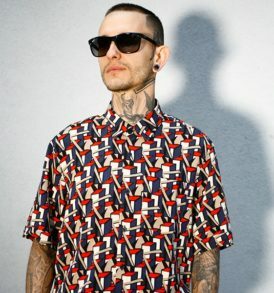 Please check our size guide. Men shirt with comics pattern combining short sleeves, sport collar and a pocket. 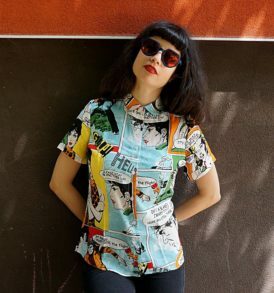 Made out of 100% cotton fabric.